He argues that his policy of excluding Syrian refugees is based not on nationality and thus is not discriminatory, but is based solely on the threat he thinks they pose to the safety of residents of Indiana. But that’s the equivalent of his saying (not that he does say) that he wants to forbid black people to settle in Indiana not because they’re black but because he’s afraid of them, and since race is therefore not his motive he isn’t discriminating. But that of course would be racial discrimination, just as his targeting Syrian refugees is discrimination on the basis of nationality. The governor of Indiana believes, though without evidence, that some of these persons were sent to Syria by ISIS to engage in terrorism and now wish to infiltrate the United States in order to commit terrorist acts here. No evidence of this belief has been presented, however; it is nightmare speculation. 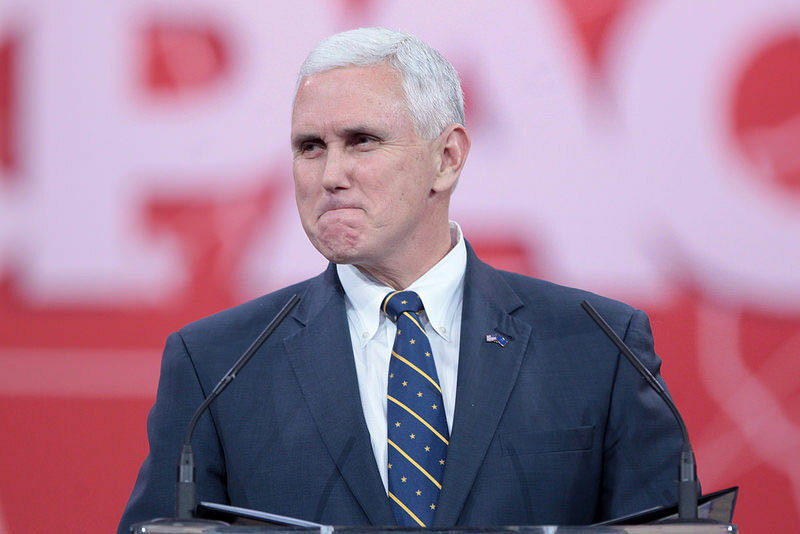 The American Civil Liberties Union and the nonprofit Exodus Refugee Immigration sued Pence; meanwhile, resettlement went forward. By August, the Washington Post’s Katie Zezima found 140 newly settled Syrian refugees in the state, with more scheduled to join them. Trump apparently threatens the NFL’s non-existent tax exemption, but his tax plan promises the NFL billions. Is that irony, distraction, or obliviousness?